Reserved for trained riders, Les 2 Alpes Vertical Trail 2017 is the event not to be missed! 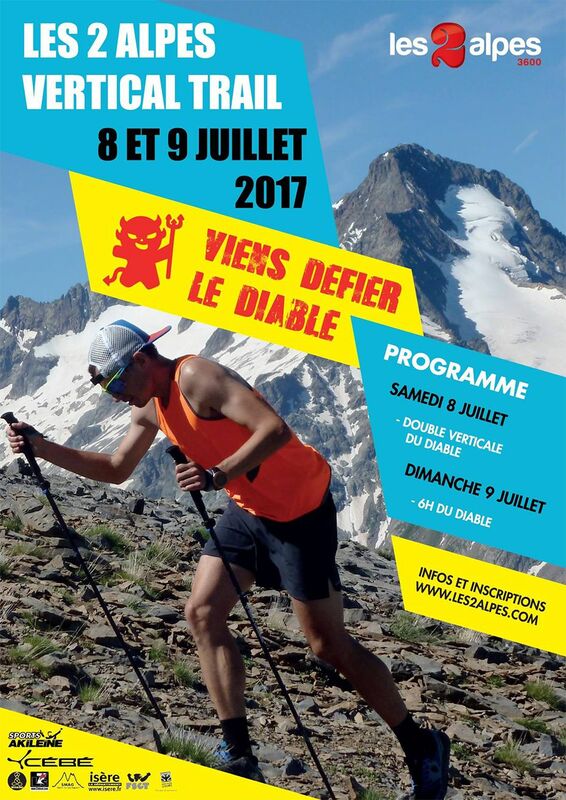 On steep mountain trails, Les 2 Alpes Vertical Trail proposes two events open to all, men and women, licensed or not. Saturday, July 8, 2017, try the Double Vertical of the Devil. 1,900 meters of vertical drop in 7 km! Ready to take the challenge? You will leave the village of Venosc to reach the Tête Moute (top of the Super Diable chairlift). After a departure at 900 meters above sea level, along the Vénéon, you will cross the alleys of Venosc and walk along the footpath which leads to Les 2 Alpes resort. A few hundred meters of respite and you will return straight down the slope through the alpine pastures (to the restaurant Diable au Coeur) and then through stones until the top of the day: Tête Moute at 2800 m altitude. A magnificent panorama will be offered to you, with the massif of the Ecrins until Mont Blanc passing by the Grandes Rousses and Belledonne! The 6 hours of the Devil, it is a dry rise of 650 m D + about 3 km. It is especially the occasion, Sunday July 9, to push your limits! The start takes place at the bottom of the village of Venosc at 985 m altitude. You will first go up the narrow streets of this very pretty village before joining the pedestrian and panoramic path that will lead you to the station of the 2 Alps at 1640 m of altitude. You will have traversed 655 m of unevenness in a little more than 3 km. A refreshment awaits you just before you descend by gondola - 8 minutes approximately - at the foot of the ascent. The aim of this test is to make as many as possible climbs in 6 hours. In solo or duo, it's up to you to find the motivation to hold on to the end! What race is made for you? What is certain is that you can be proud to say that you have confronted the Devil! For even more thrills, why not take a look at our ski rental and mountain bike hire shop in Les 2 Alpes! Ski Republic Hors Limites welcomes you all summer to equip you!